Mor Dionysius Behnan Jijjawi was born on 22 August 1925 in Mosul, Iraq. He was the former Archbishop of Jerusalem and the Holy Land. In 1999, he retired and settled at the Archdiocese of Al Jezira & Euphrates, Syria, and took residence at the Monastery of the Virgin Mary in Hassakeh. 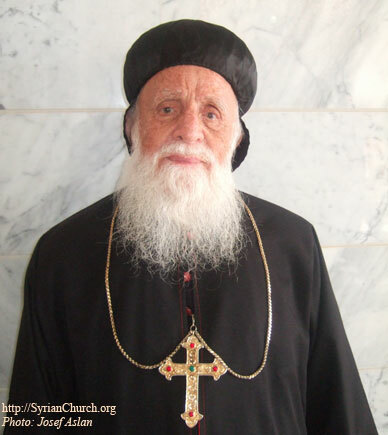 He passed away on Sunday the 16th of February 2014 at Malikiyeh, Syria, after celebrating the Holy Qourobo on All Priests’ Day. 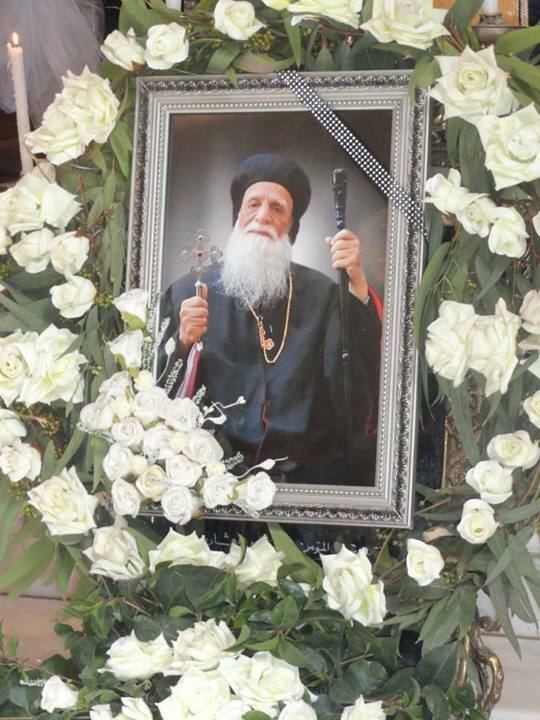 On Wednesday, 19.02.2014, 11:30 hrs, the mortal remains of Mor Divanasios Behnan Jijjawi was laid to rest at Church of the Virgin Mary, al-Qamishli, Turkey. Funeral prayers were led by Their Eminence Mor Timothy Khoury and Mor Silvanus Peter and assisted by the Bishop of the Armenian Orthodox Church His Grace Sipan Kjjian and Armenian Catholic Church Monsignor Antranik Ayvazian and the clergy of Syriac Orthodox Church and of the sister churches of Qamishli, Maliki and Al-Hasakah and Derbassiyeh. 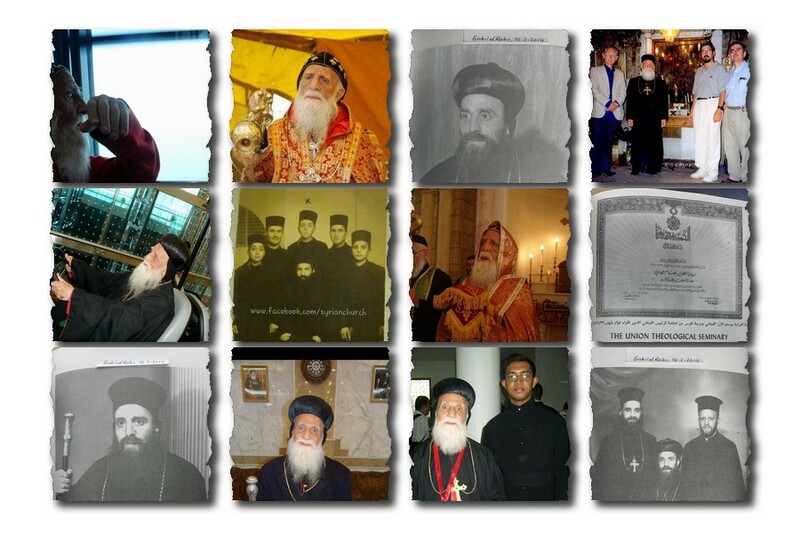 In his long life, Mor Dionysios Jijjawi was honoured with many medals by the Patriarchate, for his good services, especially at his Episcopal Golden Anniversary.